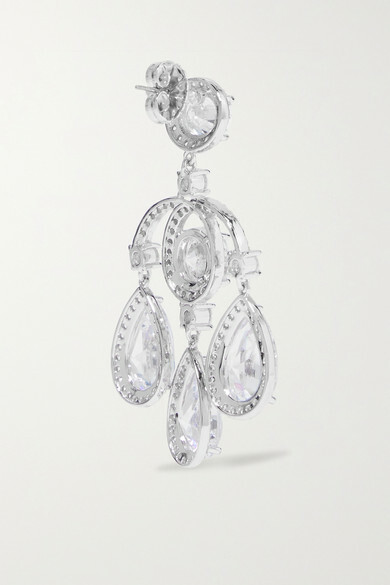 Kenneth Jay Lane's earrings are cast in a stunning chandelier shape to really highlight the cubic zirconia drops, and are hinged to ensure each stone will shimmer with every step. 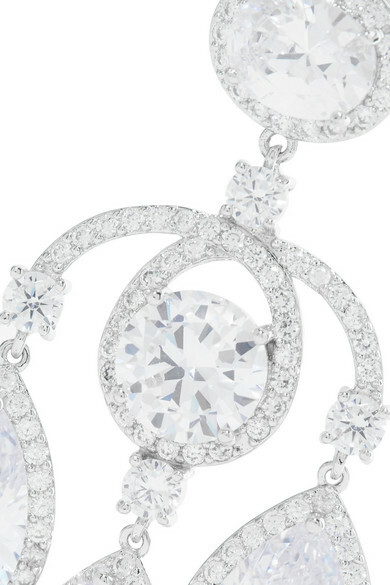 This weighty pair is cast from silver-tone metal and falls just below the jawline. Wear yours to formal events with a swipe of red lipstick. Shown here with: Cushnie Dress.